Vector of Animal Walking animations. Animal Walking animations. Vector cartoon and isolated characters. 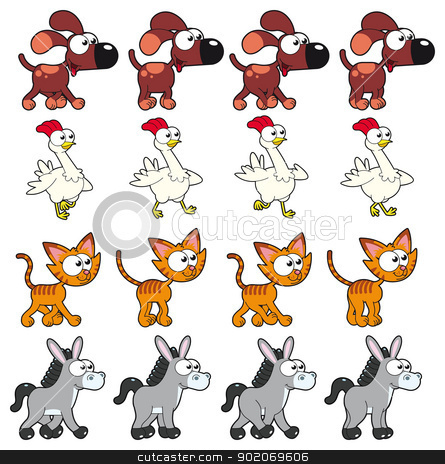 You can use four frames in loop, each animal.